Not sure about this one. But then again, I was not sure about Wuthering Heights either. 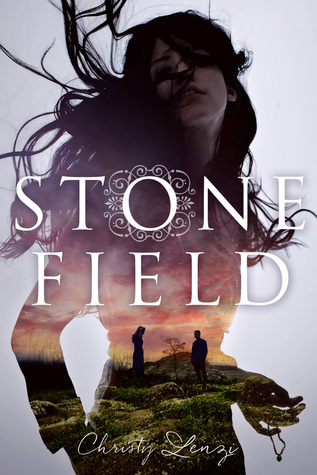 If I'm being honest, I spent most of my reading time confused about what Ms. Bronte was talking about... and Stone Field was pretty much the same experience for me. Cat is definitely unstable. Stonefield might be a bit off as well, but I think I would lean more towards he's driven mad by intense emotions. Since this is a very character driven book, let's discuss some of the characters: Cat, Stonefield, the preacher and Effie. Cat is a lunatic. Period. Probably suffering from PTSD of some type, causing her to really behave in some crazy ways. Everyone copes with grief differently, so it does (kind of ) make sense that her guilt and grief drive her mad. Stonefield, on the other hand, seems more intentional. (Side note: I am also not convinced that he did not take advantage of Cat's mental state to get what he wanted earlier in the novel.) His race is questionable, but given the time period it's a pretty good guess that he's Native American (there was a hint about the Trail of Tears). I wanted to like both of these characters, but I never really could connect with them. Cat boasts extreme devotion one minute, then acts like a spiteful ex-girlfriend the next moment. Stonefield was not better, as he showed his very selfish side often. Effie, on the other hand, came across as pretty straightforward. Her role was unique being that she was a minority during a time of slavery. Not only was she a minority, she was extremely intelligent and raised to be no one's inferior. Probably not the most historical accurate given the Southern location of the story, but it did make for interesting contrast to Cat. Effie and Cat were best friends, and much of the story relied on Effie to tone down Cat's craziness. Finally, there is the preacher. Gag. I just can't even come to terms with him, but he was creepy! Again, I felt that he took advantage of situations to get what he wanted. (i.e. he claimed God told him to help Cat). I don't think God told him anything about Cat. I think he was a horn dog that saw her and knew she was a bit unstable and decided to work those situations to his advantage. He really wasn't a very likable character. Overall, this one was intense at times and blurry at other points. It's a roller coaster of a ride and can be challenging to keep up with. But if you know the general gist of Wuthering Heights, you know how the story will end for Cat and Stonefield.